Made from recycled leather, three colors in one. Clutch can be fold-over for both sides. Metallic buckle and buckle closes it. Cotton twill lining and zipper pocket inside. 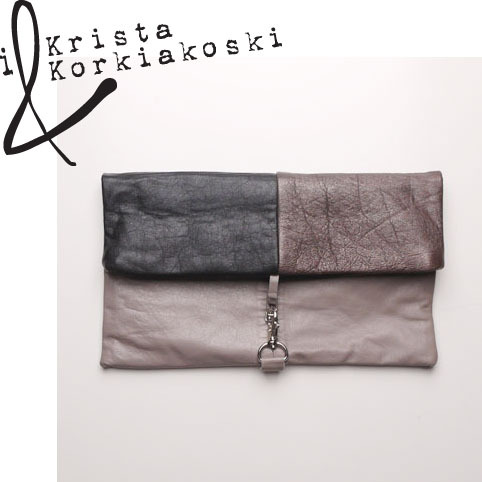 Clutch is also available with metallic chain strap.